Caring for the old and the infirm was an organic part of life in village society. Peasant laws formed the legislative basis for providing the elderly and the infirm with care in the nineteenth century. The conditions of the poor in Estonian village society are considered in this article primarily on the basis of court materials. Care for orphans, the elderly and the sick is also observed. The centre of attention is the northern region of Livland in the latter half of the nineteenth century, where the widespread purchasing of farms for perpetuity also quickly altered the legal, economic and social relations that had hitherto prevailed in the area. 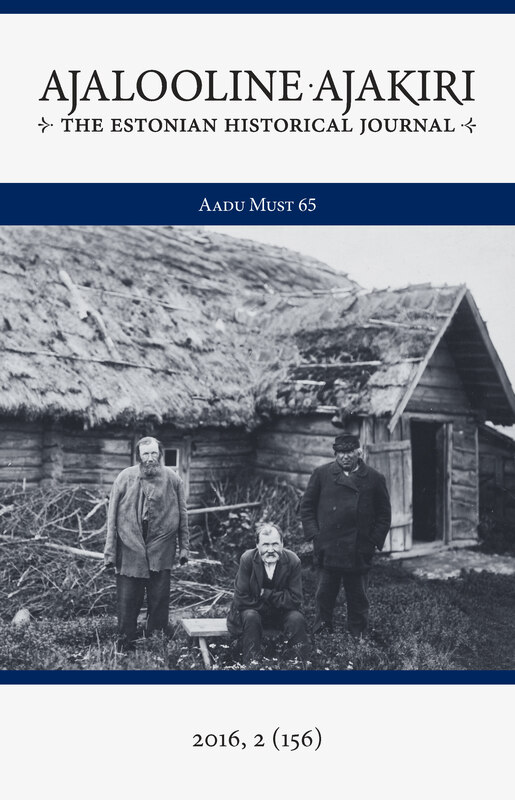 It is evident that in the latter half of the nineteenth century, the Estonian peasantry had a strategy for how to manage in the event of inevitable aging and the loss of their capacity to work. In that time period, the owners of farms had the best opportunities for securing their old age. In gratuitous contracts or wills drawn up concerning one’s property, a section concerning the upkeep of the bequeather or the giver of the gift and his spouse became customary. Thus this is also a kind of pension agreement. The possession of moveable property or money made it possible to conclude upkeep agreements or to make other agreements. Children were of primary importance since they ordinarily looked after their parents until their parents died. If there were no children in the family or if they were all dead, a foster child was adopted who was also obliged to look after his foster parents. Thus wherever possible, people themselves aspired to actively affect how their old age would proceed. The primary aim thereat was nevertheless the aspiration to manage on one’s own strength in old age as well and not to be a burden on the rural municipality. Few people ended up below the threshold for welfare assistance for the poor from the rural municipality, and they were given aid either temporarily as necessary or continually. The infirm and the elderly accounted for over half of those cared for by the rural municipality, but the relative proportion of disabled persons was also large. The primary task of welfare aid for the poor at that time was considered to be the placement of poor people who were partially capable of working in the ordinary economic and life process in the countryside in one way or another. People who were incapable of working, old people with nobody to look after them, orphans, the ill and the disabled were placed in the care of families either permanently or for a certain limited time in a system of rotation between families in the community. This was supplemented by assistance for the poor. Begging or living on alms in the local area was also tolerated to a certain extent. Begging was a temporary or permanent way of living chosen or embraced by a person for particular economic and social reasons, such as loss of the capacity to work, lack of a place to live, illness, and mental or physical disability. Vagrancy and begging were extreme manifestations of poverty in the latter half of the nineteenth century and early in the twentieth century that demonstrated social exclusion and marginalisation. The migration of the poor to the towns and cities is an indication that poor relief provided by the rural municipalities was insufficient. Even though major changes took place in rural society in the latter half of the 19th century due to the transition to the payment of rents in money, the measurement of lots to consolidate landholdings into farms, and the purchase of farms, the relative proportion of the poor in need of assistance among the rural population increased relatively little, remaining at 1.5 percent of the rural population of Tartu district in 1878, for instance. This can be explained by the fact that the farming population tried to do everything in its power to make certain that it would not be necessary to rely on the assistance of the community of the rural municipality in old age. It turns out that regardless of social changes, the reasons for being reduced to accepting welfare assistance from the rural municipality, and the proportions of the different categories of the poor remained more or less unchanged throughout the nineteenth century. Primarily the elderly and also persons who had lost their capacity to work due to illness or disability continued to be the people receiving poverty assistance. Poorhouses started being built more extensively, however, as an important innovation in the latter half of the nineteenth century, and this altered the former framework of welfare for the poor. This meant a gradual decrease in the former rotational system of community care that took place in farms and its replacement by monetary donations.